Thank you for visiting Lori J Photography. 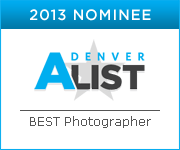 I am a freelance photographer in Denver, Colorado, specializing in Wedding photography, Event photography and Portraiture. I serve you as a professional photographer with up to date digital Cannon photography equipment. Both of my associate professional photographers have joined their experience and heart for photography to provide the best all-around services. I personally believe that true love is the heart of well being. I take great pride in being a part of documenting your wedding day for you to treasure. I combine photojournalism and traditional wedding photography with a twist of my artistic style. When working with families and individuals, I like to get to know more about who they are. I think that it is important to capture you and all the wonderful things about your personality. My passion for photography started when I got my first camera in high school. My knowledge originates from a film photography background. While learning the fundamentals of black and white photography and film development, I continued the learning process by converting my art to digital media. I have had my work exhibited in local Denver art shows, and a featured magazine spread in Cycle Source magazine. As a self-taught photographer, with lots of critique along the way, I cherish those moments that happen in real life. These events are what makes photographing people so spectacular. I hope you enjoy my work and I look forward to working with you for your Denver or Rocky Mountain destination wedding or event! Please Contact or Call me for any additional details or questions at 303.241.3738, thanks!